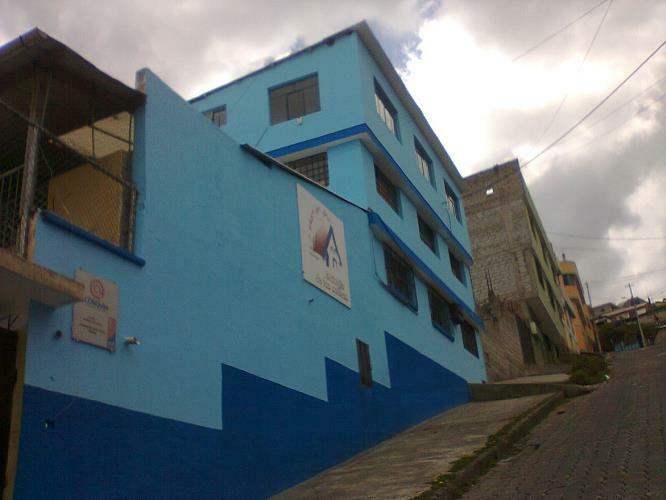 The Refugio has served the children of Toctiuco and the surrounding neighborhoods in Quito for over twenty years. 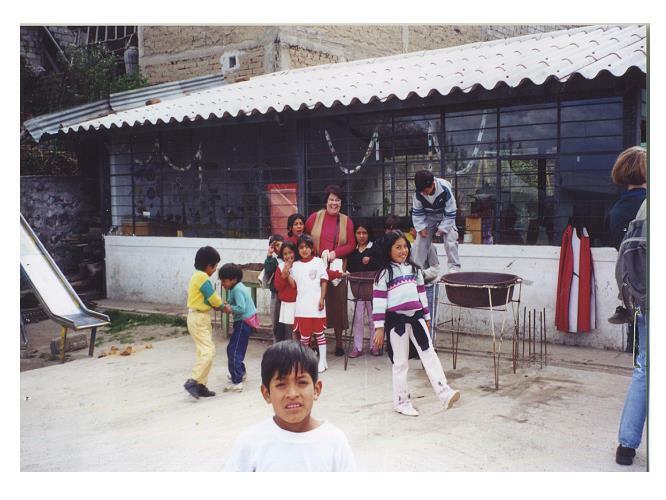 During this time, many hundreds of children have found a home away from home here. Thanks to the Refugio's scholarships, many of them were able to graduate from highschool, and several went on to university. Read some of our amazing success stories for an insight into the work we have done. 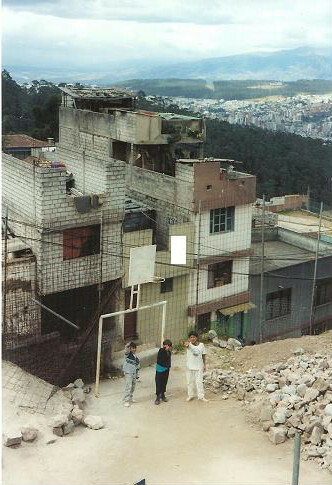 This is how the Refugio looked the first time I went there. I made a poster of this photo and placed it in my classroom. My high school students approached me and asked if they could send boxes to the children (at that time it was real easy and cheap to send boxes). Needless to say I was so very proud of them as they continued this endeavor over the next several years. They collected spoons and bowls (which the Refugio had very little of, if any), along with clothing and shoes. When the number of children became much larger and more than we could handle is when Rob and I started looking for assistance from others. During the first years we had no running water. The tub of water was placed in the play area for the children to get used to water, that water was indeed OK. 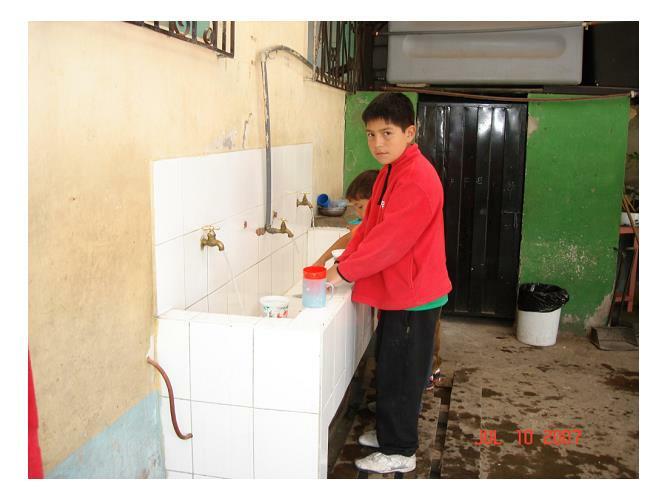 Still today many children are punished by using cold water. Today we have running water and showers.